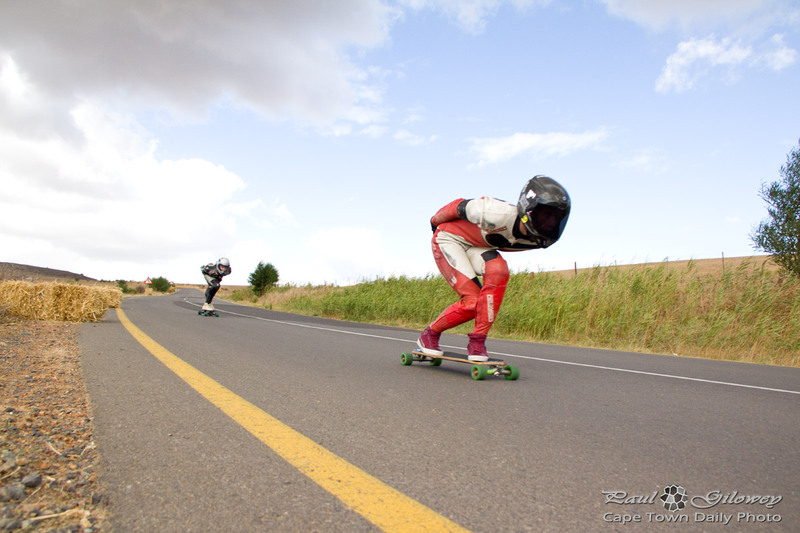 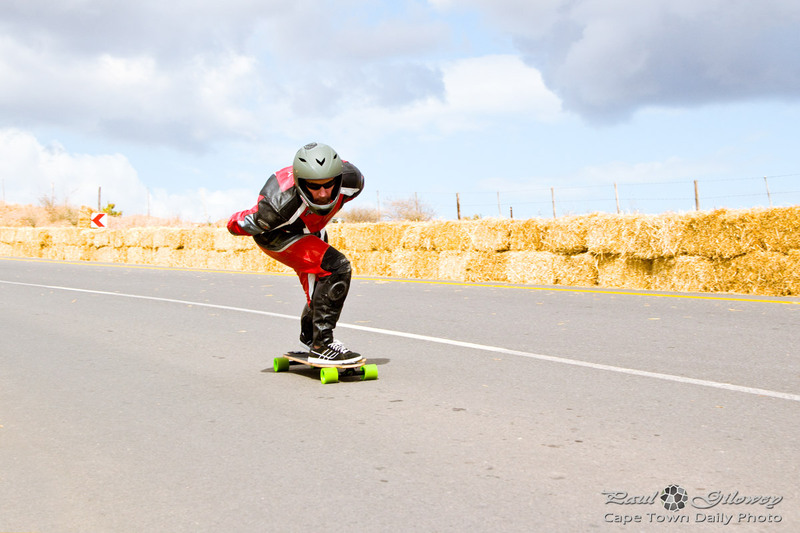 I spent this morning at day 1 of the Fair Cape Downhill Challenge, a downhill skateboarding event held on the super-smooth Malanshoogte road (map) that leads to Durbanville's Fair Cape dairies. 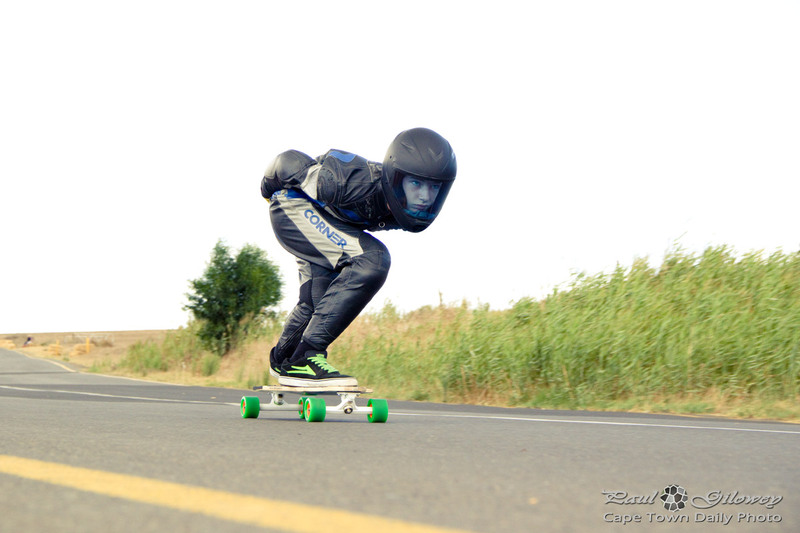 EDIT: See my follow-up article and more pics here. 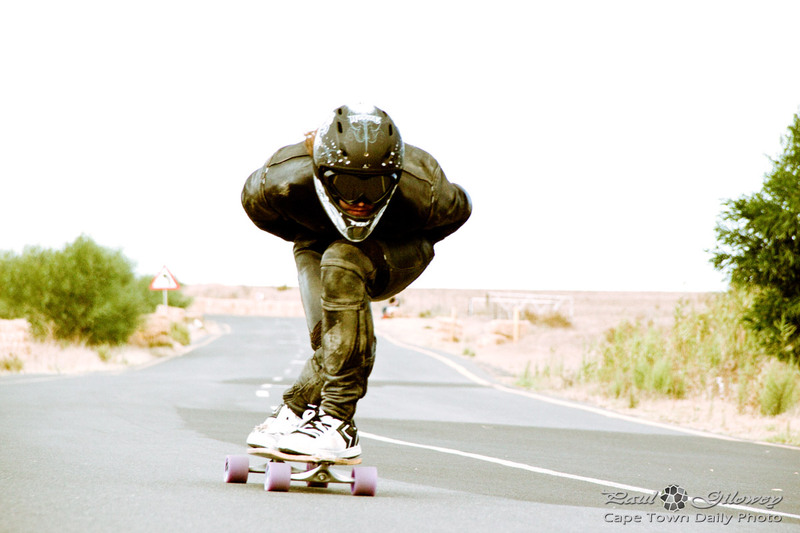 Posted in Events and tagged extreme sport, people, skateboarding on Saturday, 17 March, 2012 by Paul.